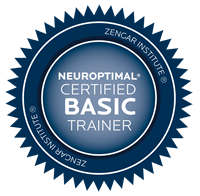 Neurofeedback (NFB) is a more advanced branch of biofeedback that focuses on the brain and central nervous system (CNS). Neurofeedback optimizes the brain and nervous system by giving the brain information about the way it is operating using EEG technology. An EEG (electroencephalogram) is a recording of the electrical activity of the brain. Your brain is made up of billions of brain cells called neurons, which uses electricity to communicate with each other. The combination of electrical activity of the brain is commonly called a Brainwave pattern, because of its cyclic, 'wave-like' nature. Our mind regulates its activities by means of electric waves which are registered in the brain, emitting tiny electrochemical impulses of varied frequencies, which can be registered by an electroencephalogram. These brainwaves are known as: Beta emitted when we are consciously alert, or we feel agitated, tense, afraid, with frequencies ranging from 13 to 60 pulses per second in the Hertz scale. Alpha when we are in a state of physical and mental relaxation, although aware of what is happening around us, its frequency are around 7 to 13 pulses per second. Theta more or less 4 to 7 pulses, it is a state of somnolence with reduced consciousness. Delta when there is unconsciousness, deep sleep or catalepsy, emitting between 0.1 and 4 cycles per second. In general, we are accustomed to using the beta brain rhythm. When we diminish the brain rhythm to alpha, we put ourselves in the ideal condition to learn new information, keep fact, data, perform elaborate tasks, learn languages, analyse complex situations. NeurOptimal®, meditation, relaxation exercises, and activities that enable the sense of calm, also enable this alpha state. NeurOptimal® Client Hookup consists of silver electrodes, applied to the clients’ ears & scalp, centered between the ear and the crown of the head on the bony ridge (Central points C3 & C4). Much like an EKG or ECG, the NeurOptimal® system is simply reading this signal. Nothing invasive is involved with the training process. 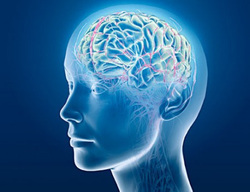 NeurOptimal® neurofeedback is naturopathic and does not “push” the brain in any particular direction. The system merely cues your central nervous system to do what is naturally best for YOUR brain. Your trainer will record a baseline reading and review it with you before starting the training. While this is not absolutely necessary for the brain training, it can be interesting to look at your brain activity at the beginning versus the end of your session as well as over time. While NeurOptimal® offers some very exciting ways of assessing your progress, in the end it is always how you are doing in your life that counts most. After all, that is what brought you into training in the first place! Your trainer will then give you some ear buds and perhaps a blanket. S/he will start the program for you and then the brain training begins. You might listen to music or watch a movie during which you may notice very brief pauses in the sound or image. The very precise timing of these interruptions gives the brain vital information it needs to reorganize itself to operate more optimally. You don’t have to do anything while all this is happening. It’s all right to close your eyes and "zone out" and just let your brain do its job. Length of the brain training can vary, but a session usually runs around 35 minutes. Once you have finished, the trainer may record another baseline and compare it with your earlier one. How Many NeurOptimal® Session Do I Need?